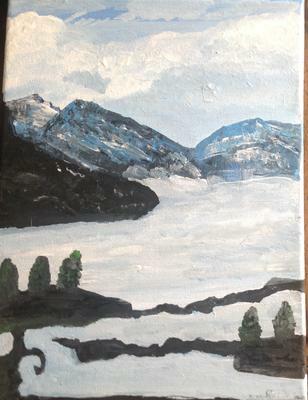 My name is Ruth E. Sager and since I retired in 2014 I have been painting landscapes in acrylics. 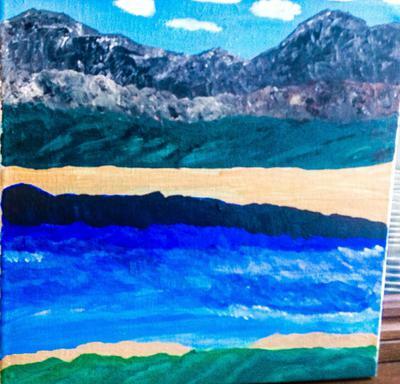 I have this drive to paint mountains and water. As I practice I get better. 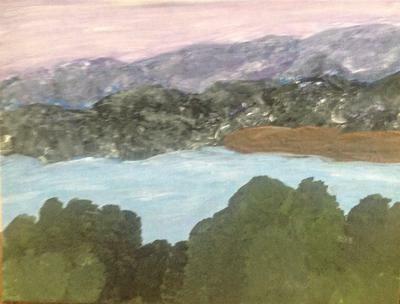 I am using a palette knife to paint the mountains. 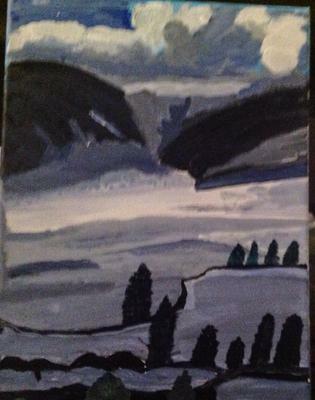 The two paintings done in black and white were done from photos of Lake Louise in Winter.